Roma Moulding is proud to announce the addition to two outstanding leaders to the Roma Team. Richelle Plumstead brings a wealth of sales and leadership experience gained in her previous role as a Broker and Real Estate Leader in New Brunswick to her post as Roma’s new Eastern Growth Leader. Additionally, Plumstead is an experienced leader with a proven track record of developing amazing team members. She was originally drawn to Roma because of the outstanding culture. “As an outsider, you watch all the videos and read all of the great stuff online, you get this picture of what Roma is like,” said Plumstead. “Most often, the online persona doesn’t live up to what you see in reality. When I came to Roma for the very first time, the most profound impression I had was that it’s exactly like what you see online. 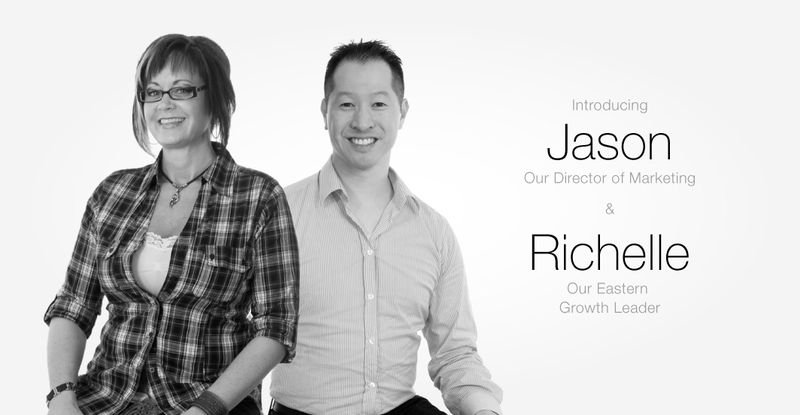 Also joining the team is Jason Leung as the Director of Marketing. Leung has previously worked for big global companies such as Pfizer, Microsoft and Greyhound where he led award-winning teams. Jason is married and enjoys investing in real estate, working out and trying out new restaurants around Toronto with his wife in his spare time. Plumstead is available at extension 307 or rplumstead@romamoulding.com and Leung is available at extension 315 or jleung@romamoulding.com. Welcome to the team guys! Looking forward to working with you both!